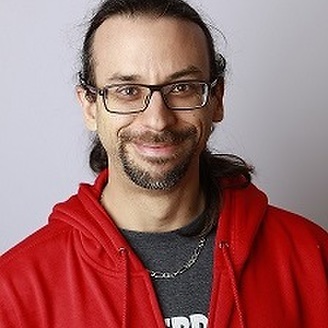 Mathieu Guindon is the project manager behind Rubberduck – an open-source COM add-in project written in C#, extending the glorious VBE with modern-day IDE features. On Code Review and Stack Overflow he is closely monitoring the vba tag. Ex-moderator on Code Review (2015-2018), Microsoft Excel MVP (2018). Describe yourself with 3 sentences (or 3 words) ? I too often talk too much, with too little thinking – call that “spontaneous”? ; wannabe-programmer; wannabe-musician. I learned VB first with VB4 in, uh, 1998 I think. So when I got an office job in 2004 with Excel 2003 as my primary tool, didn’t take too long to discover a VBE very similar to that of VB6, and that’s when I started automating parts of my job. OMG I CAN DO VB6 IN EXCEL! WATCH ME!!! There is. Hopefully Rubberduck will get to a point where it’s just a de-facto must-have VBE add-in that everybody knows about, and then we’ll be seeing fewer implicit ActiveSheet bugs, implicit default member calls, and implicit code in general, and more VBA code that says what it does, and does what it says, both in Stack Overflow questions and Stack Overflow answers. VBA remains the single best available tool for many things. I figure I must be one of a handful of IT workers in Canada regularly coding in VBA. I code in C# as well, and learning .NET a little less than a decade ago has tremendously improved my VBA coding. It’s not the language, it’s the coder: VBA folks need to step up their game and learn & apply some OOP principles and modern coding practices. Call me crazy but I find OOP-VBA rather awesome to debug and maintain. After Chris Spicer, Mathieu is the second “VBA person”, who kindly took some of his time to answer 5 questions for VBA at VitoshAcademy! He will be a guest writer at VitoshAcademy, with an article for Automatic & Secure ADODB.